Associate Professor Amanda Richdale, Dr Janine Manjiviona and Dr Debra Costley discuss the developments in research focusing on adults with ASD. Topics include the greater focus on adult issues at International Meeting For Autism Research 2014; findings from Aspects We Belong Study; why little research time has been focused on adults historically; shortage of clinical services for adults; challenges of diagnosis; the importance of relationships and social connections; education: learning support and social support; issues in gaining and keeping employment; being able to live independently; the influence of co-morbid conditions; greater end-user engagement; the Autism CRC. 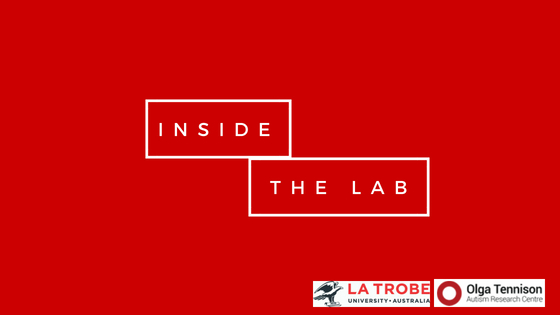 Watch ‘Inside the Lab’ episode 5 on YouTube here. Why is learning difficult for children with autism? Our ability to live as independent adults is influenced heavily by our learning experiences as children. Autism affects the ability to live an adult independent life, perhaps more than any other developmental condition, and these difficulties are rooted in early learning difficulties. But why is learning difficult for children with autism? To answer to this question, we have undertaken a comprehensive research program aimed at ‘dissecting’ early learning in autism. As a parent, speech pathologist, and researcher in the field of ASD, I am yet to meet a child who does not learn, laugh, and grow in his or her own unique and important way. Indeed, it is the idiosyncrasies in our children that as parents we love and celebrate, which make classrooms interesting and fun to be in, and which inspire us to tailor the way we teach to each child’s interests, strengths, and personality. But how can we best chart each child’s individual course of learning in early life, and make discoveries from the different ways they learn? How can we measure intervention outcomes in a consistent manner when working with children with a spectrum of individual strengths and needs, while implementing a variety of different interventions? In a new clinically-focused research project we are attempting to address these issues, one child at a time. Dr Kristelle Hudry, Dr Giacomo Vivanti, Dr John McEachin discuss the development and trends of research into early intervention. Topics covered include the neurodiversity v intervention debate, barriers to research into interventions: historical tendency to prefer high functioning autism, lack of understanding about how children learn, lack of sector accepting evidence of research, general lack of scientific culture, priorities of research funders, the problems of randomised control trials as best practice scientific design. Watch ‘Inside the Lab’ episode 4 on YouTube here. Studies at OTARC and elsewhere have shown that infants and toddlers show early signs of ASD, which can be observed from the first year of life. These are first characterized by a lack of attention to social stimuli, and usually progress into clearer ASD symptoms throughout toddlerhood and the pre-school years (Clifford & Dissanayake, 2008). Similarly, studies investigating the early development of restricted and repetitive behaviours (RRBs) in children with an ASD have highlighted that certain RRBs are present in toddlerhood, with others becoming more evident over time (Leekam et al., 2011). 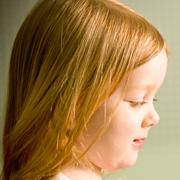 These early symptoms are now used for the early identification of ASD in infants and toddlers.